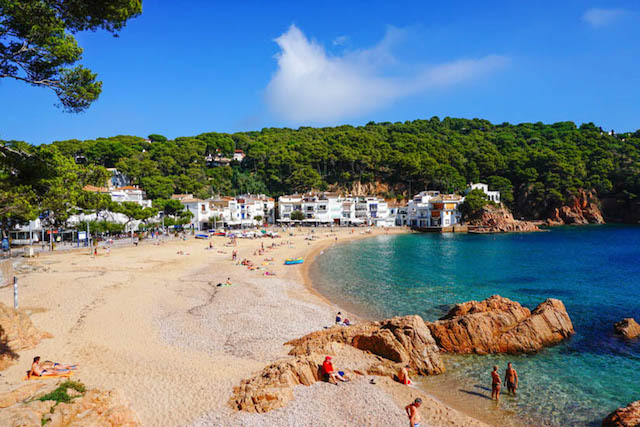 The Costa Brava has one of the most beautiful coastlines in Spain and probably the world, with so many small coves usually treelined right up to the edge of the beaches. With hundreds of pretty little villages coastal and inland, all with hidden gems and some fantastic restaurants, even two that have won the title Best Restaurant In The World awards. 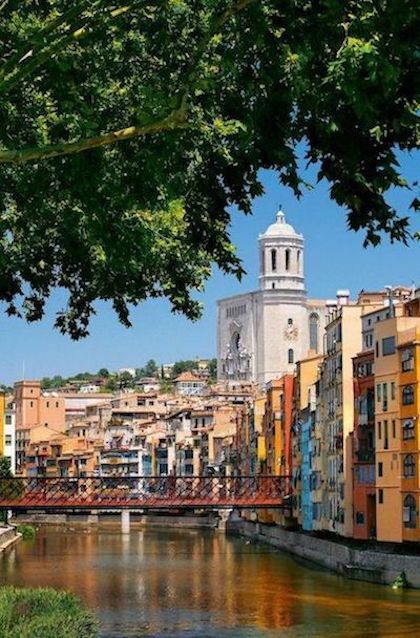 The regions capital city is Girona which is now famous for it’s links to the TV series Games Of Throne but before this it was always know as a beautiful city with it’s stunning cathedrals and rustic architecture. It’s quite a calm city compared to many, not really lots of hustle and bustle more a leisurely stroll over plenty of bridges and open plazas where you can stop and take a coffee and just come out of the sun into a shady corner before carrying on down these narrow cobble and stoned streets. 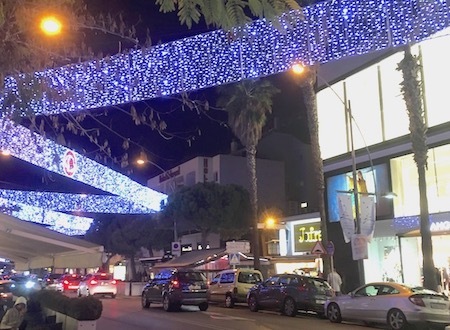 The cosmopolitan town in the area is Platja d’Aro with many classy boutiques, selling all the top brands from around the world. It also has the longest beach in the area, where you can sit eat and drink and watch the world go by in one of many restaurants and bars.. The shops are open all year around, It has a large marina with many exclusive apartments. 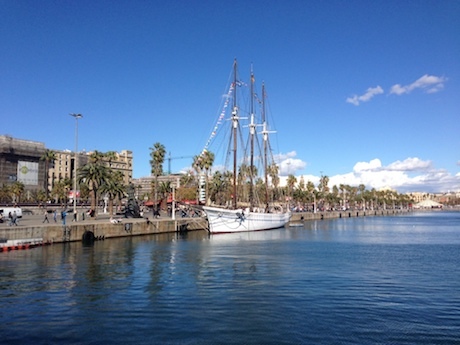 Palamos is famous for it’s prawns found in many restaurants around the world. It is a little bit more industrial with it’s port where the fishing boats come in and the occasional ocean liner. However the beaches win awards for cleanliness and there is a nice busy town centre. Llafranc was very famous in the 50’s and 60’s with film stars and other celebrities coming to visit the beautiful little village and beach, there still are signs of these years on the walls of Hotel Llafranch filled with photos from this era but still today it is famous with the affluent people from Barcelona who come here for holidays and weekend breaks to there houses and apartments, even today the football stars come here and there photos are now added to the walls in the hotel. 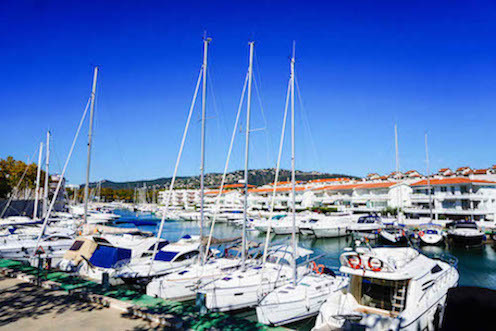 Here too is a marina smaller than Palamos and Platja d’Aro but non the less impressive with an array of luxury craft. Tamariu is well worth a visit, a small coastal village but very pretty, lovely clean beach and water and plenty of space to sit, eat and drink the day away. 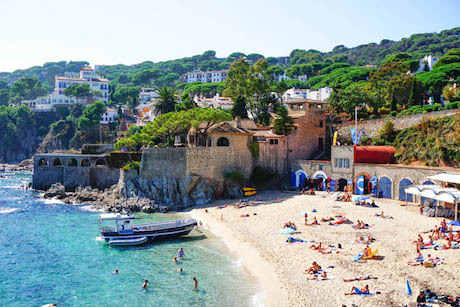 Calella de Palafrugell another gem on this fantastic coastline, with five small beaches, each with its own character, some just secluded and quiet others with a few small fishing boats and a few bars and restaurants. Just a pretty fishing village that has basically stayed the same for many years not spoiled by any high rise buildings or large shops. 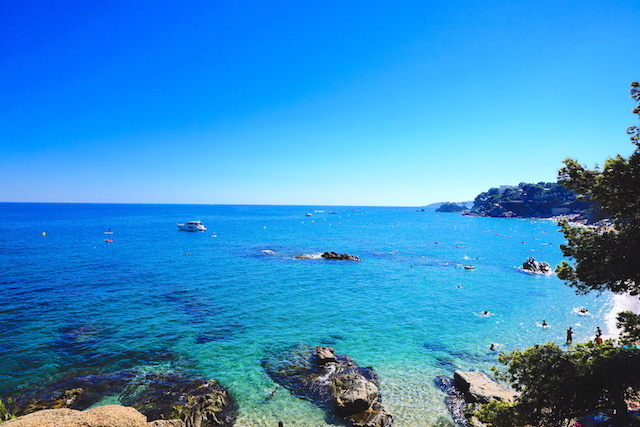 The Costa Brava has probably one of the most important and beautiful cities in the world on it’s doorstep Barcelona. 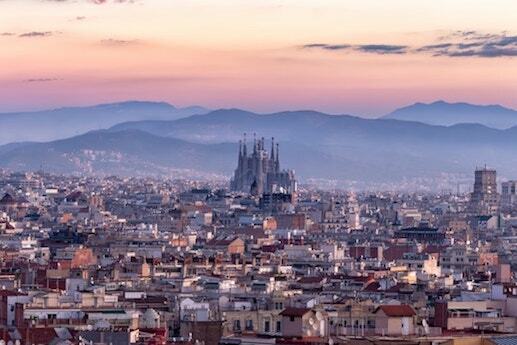 A city bursting with culture and architecture that is totally unique. 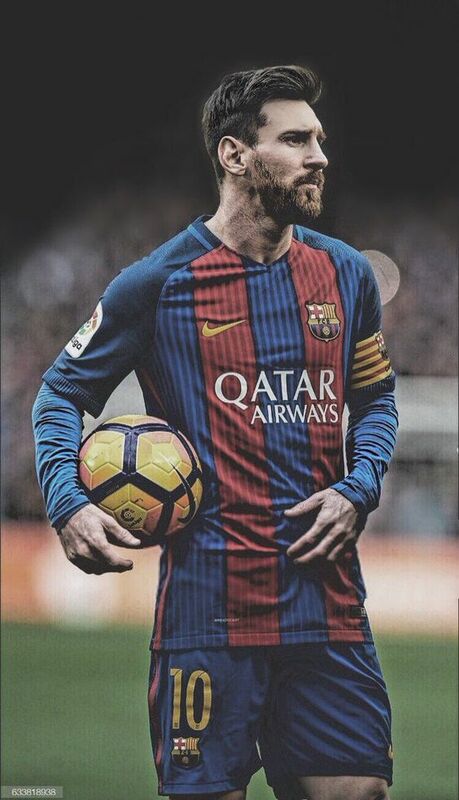 The city has everything you could possibly ask for. 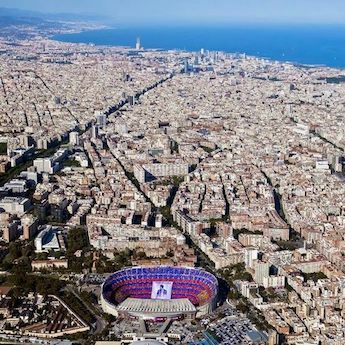 Not only the normal things you associate with a big city, the shops, restaurants, bars, cafes, churches, museums but it has much more than many other cities can offer, the mountains, sea, beaches and amazing food and drinks specialised to this region and a passion for football like no others. Llafranc was very famous in the 50’s and 60’s with film stars and other celebrities coming to visit the beautiful little village and beach, there still are signs of these years on the walls of Hotel Llafranc filled with photos from this era but still today it is famous with the affluent people from Barcelona who come here for holidays and weekend breaks to there houses and apartments, even today the football stars come here and there photos are now added to the walls in the hotel. 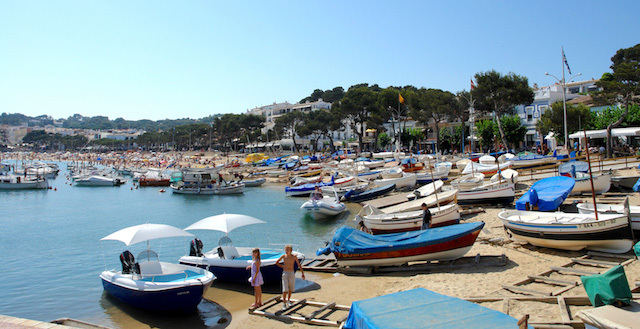 Here too is a marina smaller than Palamos and Platja d’Aro but non the less impressive with an array of luxury craft. Is well worth a visit, a small coastal village but very pretty, lovely clean beach and water and plenty of space to sit, eat and drink the day away. Another gem on this fantastic coastline, with five small beaches, each with its own character, some just secluded and quiet others with a few small fishing boats and a few bars and restaurants. Just a pretty fishing village that has basically stayed the same for many years not spoiled by any high rise buildings or large shops. 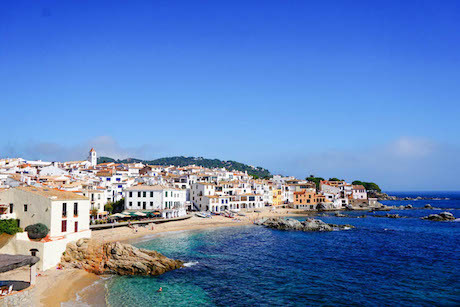 The Costa Brava has probably one of the most important and beautiful cities in the world on it’s doorstep Barcelona. 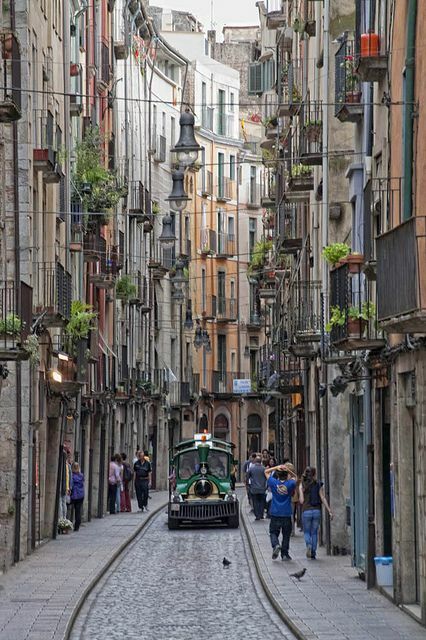 A city bursting with culture and architecture that is totally unique. 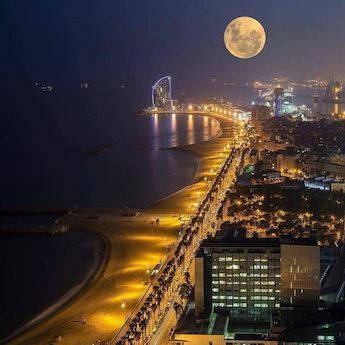 The city has everything you could possibly ask for. 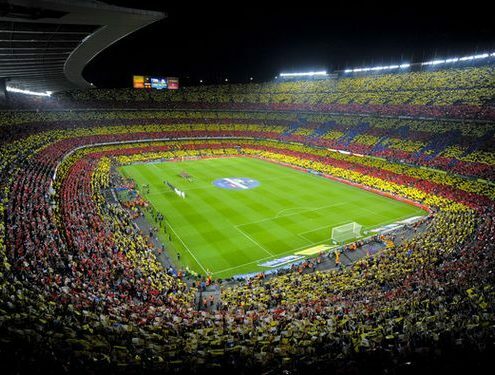 Not only the normal things you associate with a big city, the shops, restaurants, bars, cafes, churches, museums but it has much more than many other cities can oer, the mountains, sea, beaches and amazing food and drinks specialised to this region and a passion for football like no others.